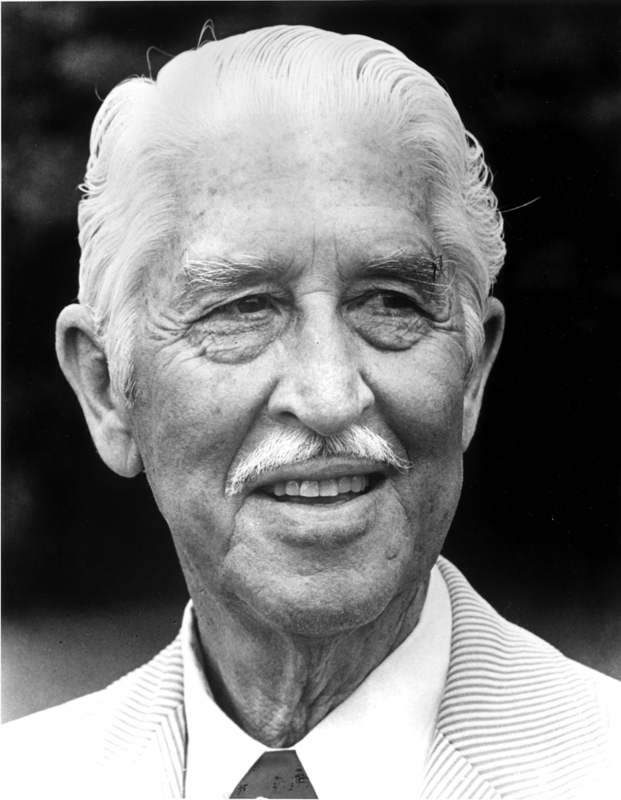 Marlin Perkins came to the St. Louis Zoo in 1926 to work with the reptile collection. He became curator of the Buffalo Zoo in 1938. As director of Chicago’s Lincoln Park Zoo in 1949, he created the Peabody Award-winning television show Zoo Parade. In 1962 Perkins returned to the St. Louis Zoo as director. He debuted Wild Kingdom in 1963, hosting it until 1985. Winner of four Emmy Awards, it taught a generation about animals in their habitats and is in the Television Hall of Fame. The American Association of Zoological Parks & Aquariums’ top honor for achievement has been named the Marlin Perkins Award. Carol Perkins, wife, accepted on behalf of Mr. Perkins.